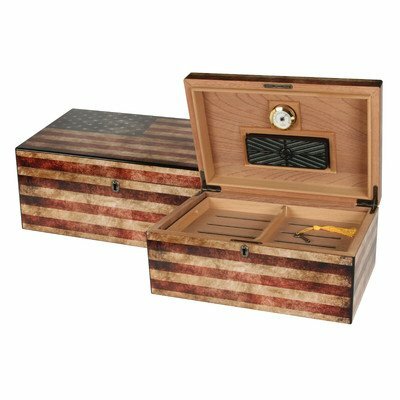 The Humidor Supreme - Old Glory with Weathered American Flag Exterior is a special addition to any room. The humidor holds up to 100 cigars and has one rectangle humidifier and one glass hygrometer. If you have any questions about this product by Quality Importers Trading, contact us by completing and submitting the form below. If you are looking for a specif part number, please include it with your message. KHALIL MAMOON BLACK SHAREEF 34” COMPLETE HOOKAH SET: Single Hose shisha pipe. Handmade Egyptian Narguile Pipes. These are Traditional Middle Grade Black Metal Hookahs.